Do You Think My Kid Has ADHD? Parents often ask me if I think their children have ADHD since they just can’t sit still. ADHD certainly is common enough. Running around instead of sitting still, however, isn’t the only symptom of ADHD. Attention deficit disorder in children, also referred to as attention deficit hyperactivity disorder, refers to children who often have difficulty focusing their attention. They have trouble listening, remembering things, staying still, and/or waiting their turn. Their school success, education, and learning are affected. Some of the symptoms must have been present in the child prior to age seven, and some must be present in at least two settings (e.g. at home and at school). Because several conditions mimic ADHD behavior, parents need to consult a qualified professional to determine just what’s going on. Many parents feel that their child has ADHD, when in fact they do not. And teachers sometimes feel that all the kids in their class have ADHD. But having an attentional issue doesn’t mean that your child has ADHD. In fact, most people have trouble staying focused on what they are doing if the phone rings, if people are talking nearby, if traffic is rushing past the window, or if music is playing. Many sounds or events can distract all of us from our work. And it’s even harder to focus if we didn’t get enough sleep, are stressed out, or skipped breakfast. Worse yet, if we replaced breakfast with a donut and a can of pop. 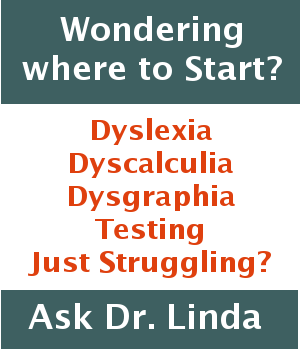 So if your child can’t stay on track, it doesn’t mean that she automatically has an attentional disorder. In today’s busy world, a certain amount of distractibility is normal, if not common. And don’t be alarmed if your child is diagnosed with ADHD or with some form of an attention deficit disorder. There are many famous people diagnosed with ADHD who have became quite successful in life despite (or maybe because of) their attentional difficulties. Has difficulty paying close attention to details or makes careless mistakes on homework or tests. Does not follow through on instructions and fails to finish schoolwork. Avoids schoolwork for long periods of time. Often misplaces or loses assignments or books. Seems to be fidgeting all the time. In order to make a diagnosis of ADHD, the DSM-IV lists even more symptoms and requires a “yes” answer for at least six behaviors in a list of nine. Obviously it’s a complex diagnosis. Because your child doesn’t pay attention to his homework, or she can’t seem to organize her desk probably doesn’t indicate ADHD. Good parenting suggests helping your child with homework and organizing skills before assuming he’s abnormal or has a disorder.